Speaking effectively is defined as speaking in such a way that your message is clearly heard and, if possible, acted upon. There are two main elements to speaking effectively: what you say, and how you say it. What you say means your choice of words. The words you might use when chatting to a friend are likely to be quite different from those used in a formal presentation or interview. Similarly, the way that you speak will also vary in different situations. However, there are also likely to be some common factors: for example, whether you naturally talk quietly or loudly, and how you use body language. This page discusses aspects of effective speaking. It also suggests ways in which you can become a more effective speaker. Effective speaking means being able to say what you want to say in such a way that it is heard and acted upon. 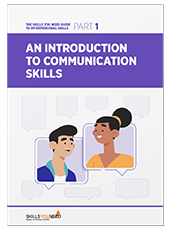 Whether you are talking to a major conference about a new scientific discovery, your children about their behaviour, or your boss about a pay rise, you need to be able to speak effectively. This means considering every possible tool and aspect to ensure that nothing distracts or detracts from your message. Your other non-verbal communication, particularly body language. What you say—the words you choose—matters. Your audience. The words you choose will be different if you are talking to 200 people at a conference, a trusted colleague, your boss, or your children. You need to think about your audience’s overall level of understanding of the subject, and also the type of language that you use. Shorter sentences are easier to process and understand. Using shorter sentences also creates urgency. Simpler words are also easier to understand. If you cannot explain something in simple terms, you have probably not understood it yourself. This is particularly important if your audience are not all native speakers of the language. Regional and ethnic accents are part of individual personality and add a unique element to the way that you speak. They may also, however, in some situations, create potential barriers to communication. For example, if you have a very strong accent, people from another area or country may find it harder to understand what you are saying. You may therefore need to slow down your speech to ensure that they have time to process what you are saying. It is worth remembering, however, that words are only a part of your overall communication and message. The tone of voice and your body language also send strong messages. Your voice can reveal as much about your personal history as your appearance. The sound of a voice and the content of speech can provide clues to an individual's emotional state. For instance, if self-esteem is low, it may be reflected by hesitancy in the voice. A shy person may speak quietly, but someone who is confident in themselves will be more likely to have command of their voice and clarity of speech. It is worth taking time to improve your command over your voice, especially if you find it hard to speak in public. It can even help to boost your confidence! It is important to get used to the sound of your own voice. Most people are more relaxed in a private situation, particularly at home, where there are no pressures to conform to any other social rules and expectations. This is not the case in public situations when there are all sorts of influences exerted upon the way people speak. Try recording your own voice in an informal setting, such as at home. Listen carefully to how you sound. This will help you become accustomed to your own voice. You might also note any aspects of your speech which reduce the overall effectiveness of your message. This might include a tendency to say ‘um’ or ‘er’ a lot, to slur one or more letters together, or stammer slightly. Often people don’t like the sound of their own recorded voice - in the same way that some people don't like photographs of themselves - they can feel embarrassed. Most of us are not used to hearing our own voices and these feelings are totally normal. Get past the initial, ‘Do I really sound like that?’ stage and develop a better understanding of your voice. The more you get used to the sound of your voice functioning in a slightly more formal way, the easier it is when doing it 'for real'. In conversational mode, individuals tend to speak in short phrases, a few at a time. Speaking or reading aloud helps you to become used to the more fluent sound of your voice. Find a document to read, something about two pages in length - the first few pages of a book would work well. Read your document through silently first, then read it aloud in your normal speaking voice. Don't worry if you stumble or falter, just pick up and continue to the end. Slow down: It is a natural reaction to want to get it over as fast as possible and this often causes people to stumble over their words. Speeding up also occurs when you are nervous and usually makes you more difficult to understand. Keep your head up: Try not to tuck your chin into the book as your voice is then addressing the floor. Hold your book higher and project your voice. Pause occasionally: Let the end of a sentence or the end of a paragraph give you a chance of a small, two or three second rest. Pauses can be useful for emphasis. Practise this exercise as often as you can. Anyone can improve the sound of their voice and the way they speak in a matter of days through a few simple exercises, like the one above. To improve you will need to maintain a certain commitment and practice regularly for a few minutes. The voice is responsive to emotions and sometimes gets 'blocked', which can prevent or hinder the expression of a range of feelings. When under stress an individual's breathing pattern will change. When your muscles are tense you cannot use your lungs to their full capacity. When someone is frightened or nervous, a common symptom is tension in the neck and shoulders. This occurs because, when under pressure, we tend to breath faster. This means we inhale plenty of air, but there is not enough time to exhale fully and relax, so we do not get the full benefit. By using full lung capacity the breath will support the voice and the voice will become richer, fuller and stronger. This will benefit individuals who have a small voice and who worry that they cannot be heard when speaking to a group of people. Volume is controlled in the abdomen not in the throat, so breathing to full strength will allow for greater control of the voice. Breathing deeply and rhythmically has a calming and therapeutic effect as it releases tension and promotes relaxation. People who are relaxed are more balanced, receptive and confident. It is no coincidence that many religions use rhythmic breathing techniques such as meditation, yoga and silent contemplation, and vocal release in the form of chants, mantras or hymn singing as aids to their devotions. By easing physical tension, mental stress decreases and the mind is effectively freed to follow creative pursuits. Stand in an easy position with your feet one pace apart, with the knees ‘unlocked’ and not rigidly pushed back. Keep spine straight, head balanced and face muscles relaxed. Breathe in to a slow count of three, then out to a slow count of three. Try not to raise your shoulders as you breathe. Breathe in through your nose and out through your mouth. Consciously think of your breath 'filling down' to the bottom of your lungs. Put the palm of your hand flat against your abdomen and feel the movement. Push slightly against your hand as you breathe in and out. Depending on how you feel after several days of doing this exercise, extend the count of the out-going breath from three to four, five and six gradually building up to ten before you need to take another breath. Then count out loud on the out-going breath from one to ten. Repeat five times. By building up your control of out-going breath, you will never sound ‘breathy’ or feel you are 'running out of breath’ when you speak to a group or a meeting. See our Relaxation Techniques section for more on breathing and relaxing. Volume - to be heard. Clarity - to be understood. Variety - to add interest. This is not a question of treating the voice like the volume control on the TV remote. Some people have naturally soft voices and physically cannot bellow. Additionally, if the voice is raised too much, tonal quality is lost. Instead of raising the voice, it should be 'projected out'. Support the voice with lots of breath - the further you want to project the voice out, the more breath you need. It also needs to come from the diaphragm, not the throat. When talking to a group or meeting, it is important not to aim your talk to the front row or just to the people nearest you. Instead, you need to consciously project what you have to say to those furthest away. By developing a strong voice, as opposed to a loud voice, you will be seen as someone positive. Some people tend to speak through clenched teeth and with little movement of their lips. It is this inability to open mouths and failure to make speech sounds with precision that is the root cause of inaudibility. The sound is locked into the mouth and not let out. To have good articulation it is important to unclench the jaw, open the mouth and give full benefit to each sound you make, paying particular attention to the ends of words. This will also help your audience as a certain amount of lip-reading will be possible. Pace: This is the speed at which you talk. If speech is too fast, then listeners will not have time to assimilate what is being said. It is also a good idea to vary the pace - quickening up at times and then slowing down – because this will help to maintain interest. Volume: By raising or lowering volume occasionally, you can create emphasis. If you drop your voice to almost a whisper (as long as it is projected) for a sentence or two, it will make your audience suddenly alert. Be careful not to overuse this technique, though, or it will lose its impact. Pitch - Inflection - Emphasis: When speaking in public, try to convey the information with as much vocal energy and enthusiasm as possible. This does not mean your voice has to swoop and dive all over the place in an uncontrolled manner. Try to make the talk interesting. Remember that when you are nervous or excited, your vocal chords tense and shorten, causing the voice to get higher. Emphasise certain words and phrases within the talk to convey their importance and help to add variety. Pause: Pauses are powerful. They can be used for effect to highlight the preceding statement or to gain attention before an important message. Pauses mean silence for a few seconds. Listeners interpret meaning during pauses so have the courage to stay silent for up to five seconds – dramatic pauses like this convey authority and confidence. Before any important speaking situation, whether it is an appointment, meeting or talk, it is beneficial to have a voice warm-up. The voice is an instrument - no musician arrives at a concert hall and launches into Beethoven without first tuning up. The length of time and frequency of a warm-up is up to you and will depend on how much speaking you need to do. There is more about using your voice effectively on our page non-verbal communication: face and voice. A considerably amount of communication—some estimates suggest over 50%—is non-verbal. Tone of voice, pace and emphasis are all part of non-verbal communication. However, your body language is also important. This includes how you stand, your facial expressions, the way you use your hands to emphasise your speech, and even whether and with whom you make eye contact. There is more about how to use body language to communicate effectively in our page on Body Language. This includes considering how far away you are from your audience, and therefore whether you need to exaggerate your gestures to make them clearer. Perhaps the most important aspect of effective communication is congruence. For communication to be effective, your non-verbal communication needs to reinforce your words: the two must say the same thing. Non-verbal communication is much harder to disguise than verbal—if you see that someone’s body language is giving a different message from their words, it pays to listen to the non-verbal communication first as it is more likely to reflect their real views. You may therefore need to put some thought into how you want to use body language and other non-verbal cues. This is particularly important if you are trying to get across a difficult or unwelcome message.